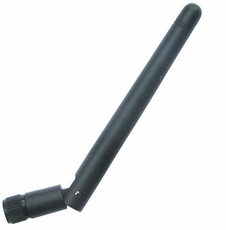 This Dual-band Omni supports both 2.4 and 5.8 GHz technologies such as 802.11a/b/g/n (Wifi). RP-SMA connector fits most Wifi equipment, has 90 degree articulation for greatest flexibility. Gain is 2dBi at 2.4Ghz and 3dBi at 5Ghz.